The moment is now ... for the arts! The arts are an important part of our Dominican heritage. In the spring of 2016, we unveiled our new Arts Center. 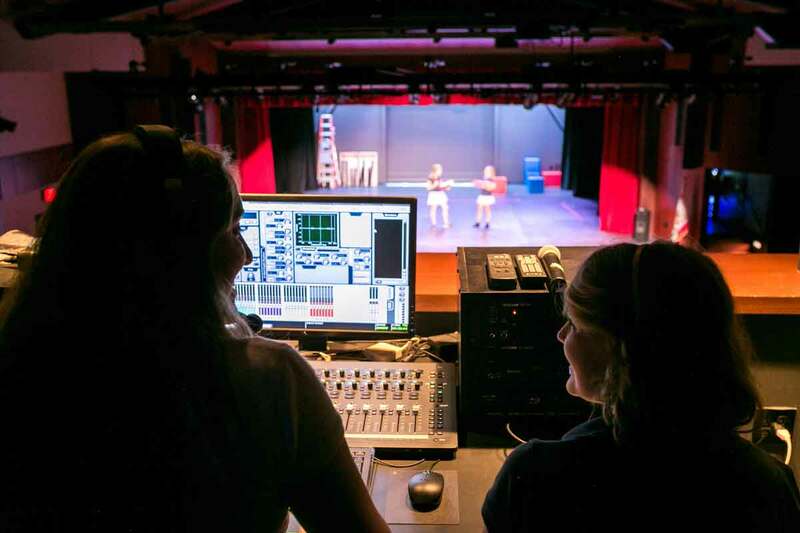 With stadium style seating, a sprung wood stage, professional grade sound and lighting equipment, an art gallery, an enlarged 3D art classroom and a stagecraft workroom, the Arts Center is an amazing creative space. Our students now have modern facilities that properly showcase and nurture their remarkable talent. The Arts Center will be completed in two phases. Click here for photos of the completed Arts Center design. 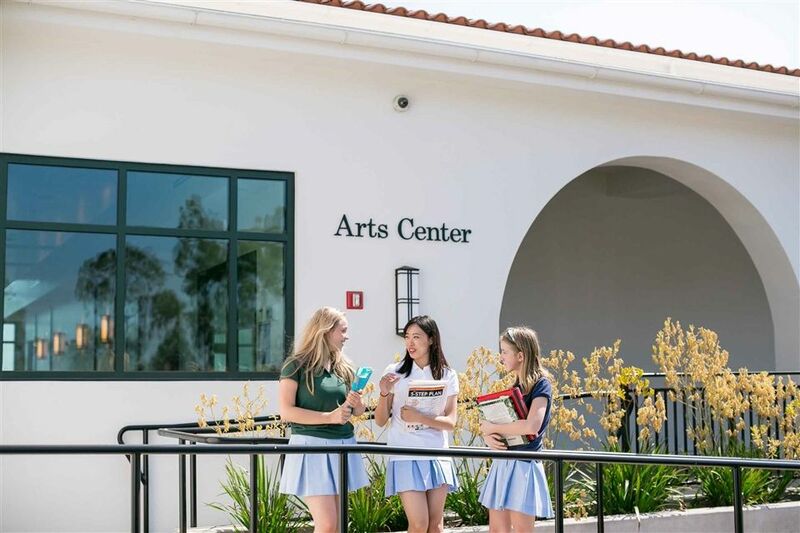 Take a look around our new Arts Center and see how our students take advantage of all it has to offer! 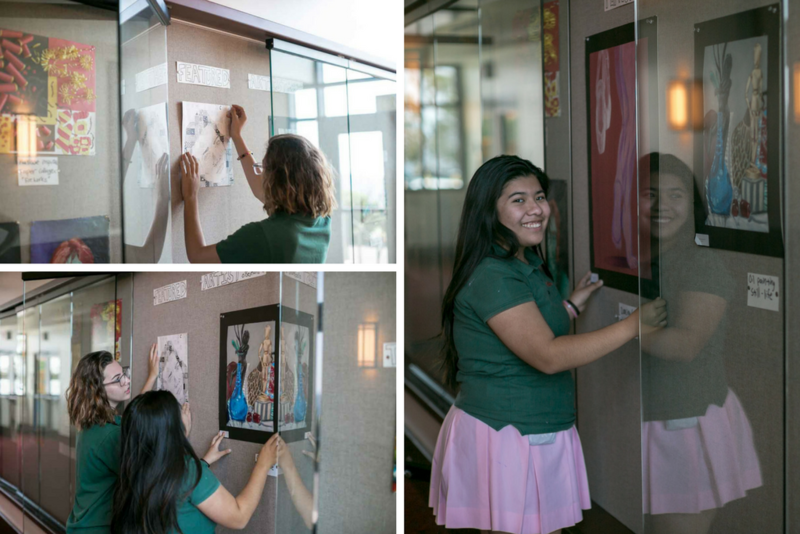 When you walk inside the lobby, you'll notice the art gallery, where student work is displayed year round. 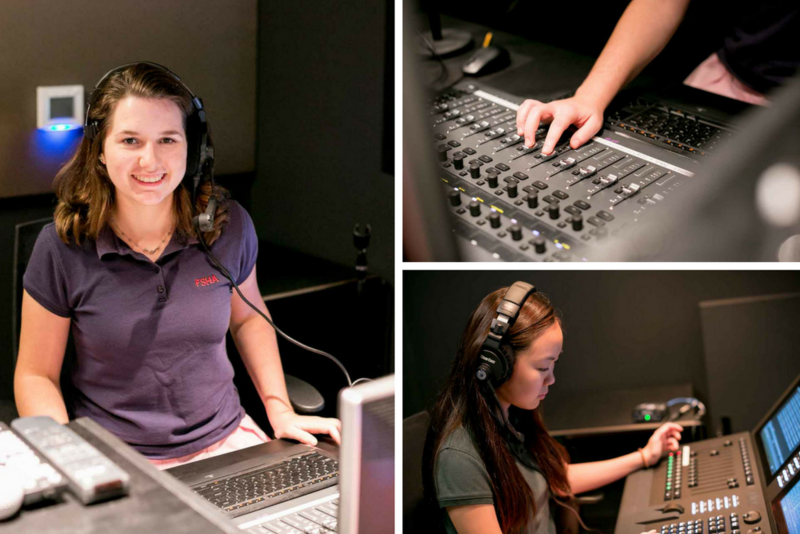 Students interested in audio-visual production can learn using our state of the art system. 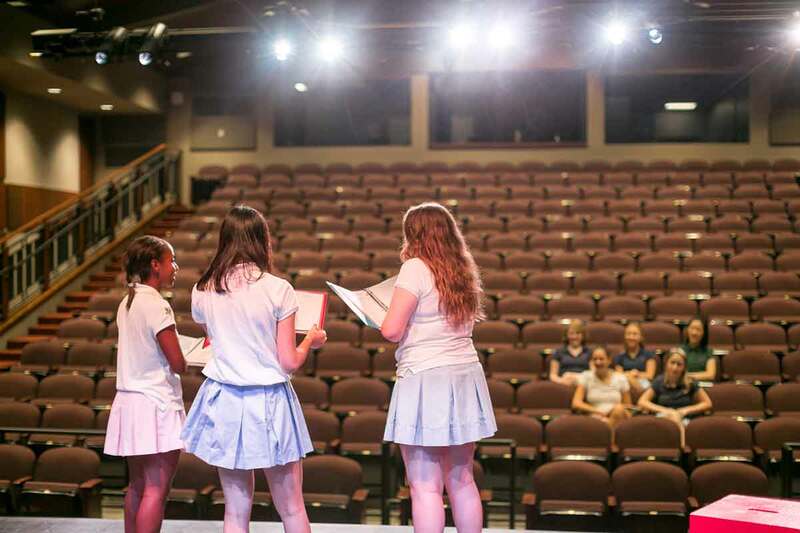 With the new proscenium stage and sprung wood floor, students in our theatre classes experience what performing on a professional stage is like. Our 3-D artists have a work room for all of their creative endeavors. 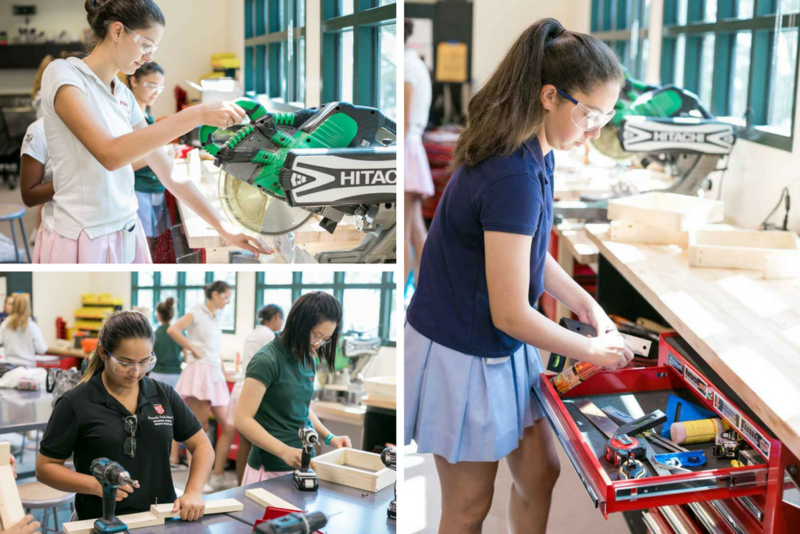 Students learn the art of stagecraft, using all the tools needed to create sets for FSHA's productions. 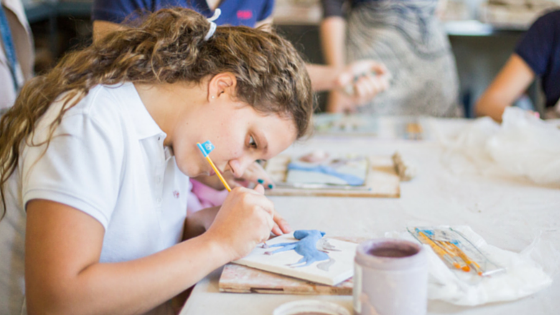 The artsy ones—every school has them. The kids that spend their afternoons and weekends backstage building sets. The ones with paint splatter on their clothes. The girls that can’t stop humming and singing and dancing … even when they aren’t on the stage. 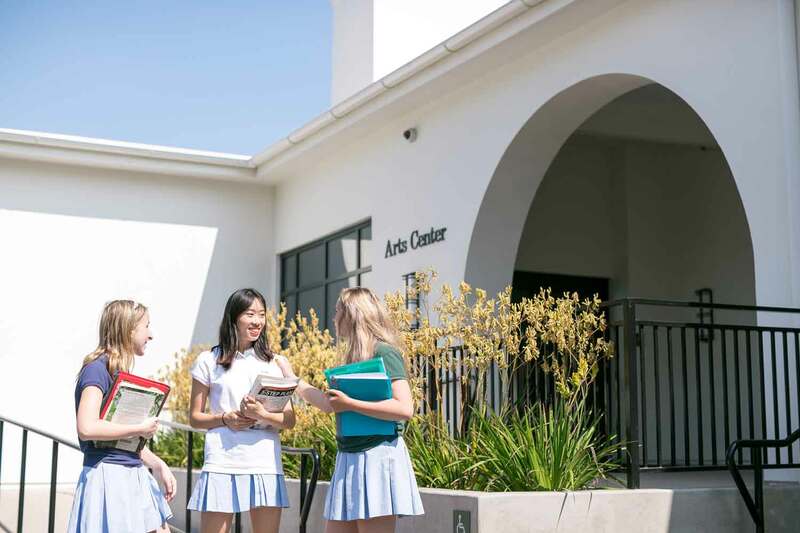 Julie Vogel ’81, Shannon Morzov ’94, Sarri Sanchez ’01 and Allison Lieskovsky Hasbrouck ’00 are four such Tologs who fell in love with the arts as students at Flintridge Sacred Heart Academy. 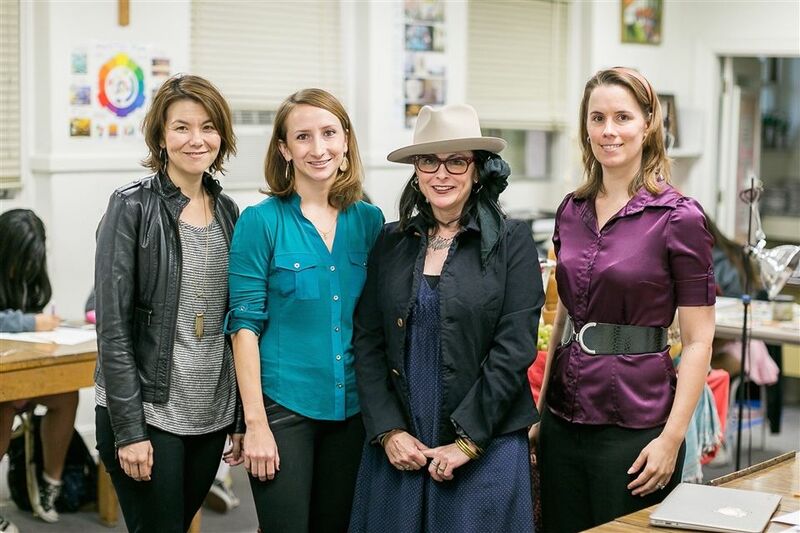 We sat down with these dynamic alumnae to find out how FSHA shaped their artistic vision, how they turned their passions into careers and what advice they have for students interested in the arts today. 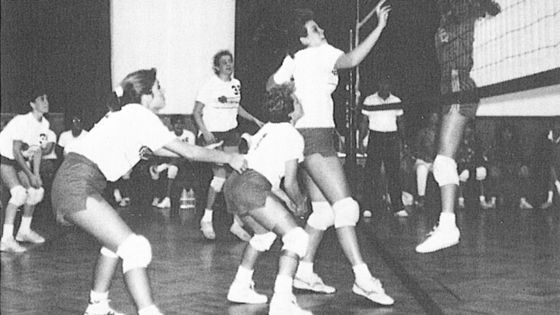 Continue reading about our alumnae artists on FSHA's blog. 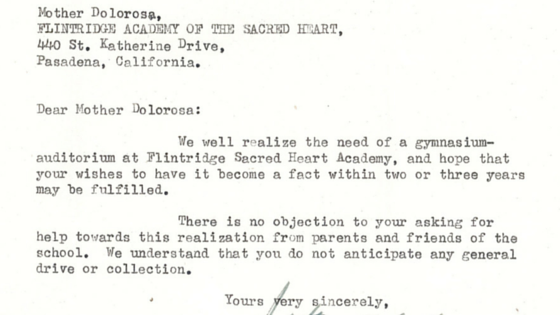 In October of 1954, Mother Dolorosa sent a letter to the Archdiocese of Los Angeles requesting support for the construction of a “gymnasium-auditorium” at FSHA. 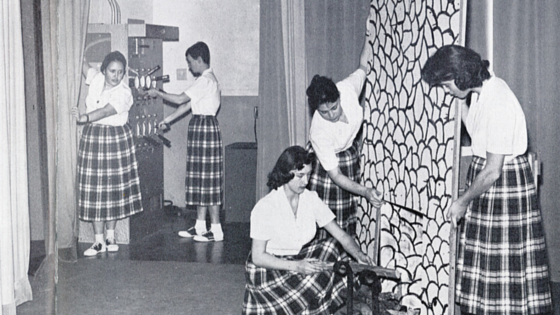 Over the next three years, the Sisters raised $170,000 from parents and friends of the school to fund the project. 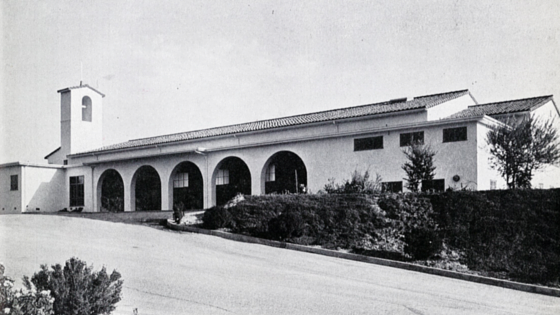 Construction began in April 1955 and the Auditorium was completed in November 1956. The first performance in the Auditorium was Hugh Benson’s “Nativity Miracle” to celebrate Christmas 1956. The Auditorium wasn’t only used for theatre productions. 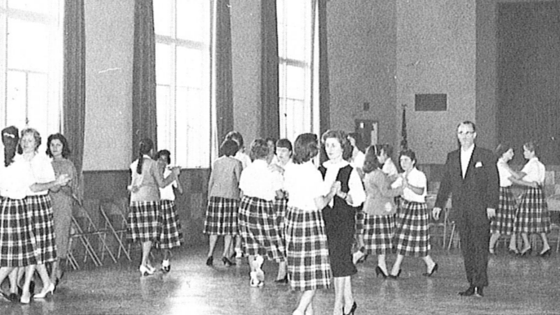 During the 1960s, students learned the foxtrot, modeled the latest looks on a makeshift runway and attended Mass – all inside the Auditorium. 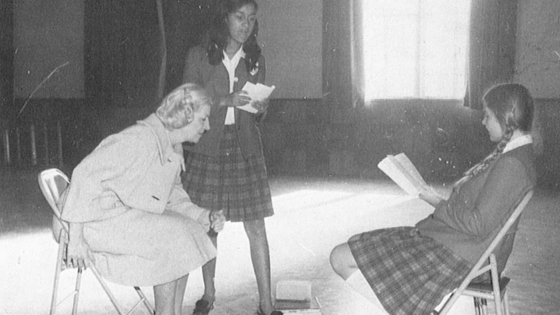 In 1968, Elizabeth Talbot-Martin joined the FSHA faculty as the new theatre instructor. 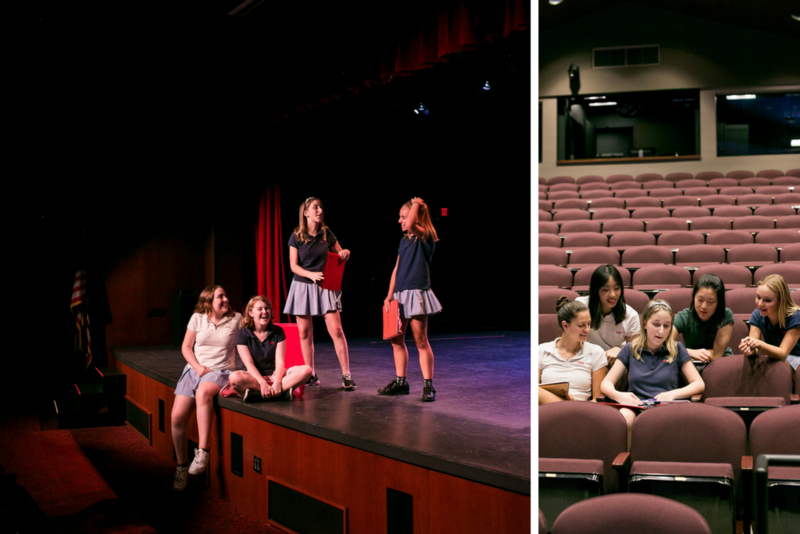 With years of professional theatre experience, Talbot-Martin brought a level of professionalism to the FSHA stage. She introduced the annual spring production and under her direction FSHA produced “Pride and Prejudice," “The King and I,” and many more. 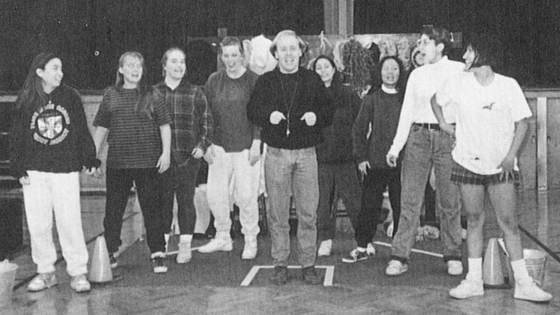 In 1989, James Bailey brought ComedySportz to FSHA—a popular extracurricular activity that continues today. The improvisational game featured “matches” between school teams with audience members awarding points. 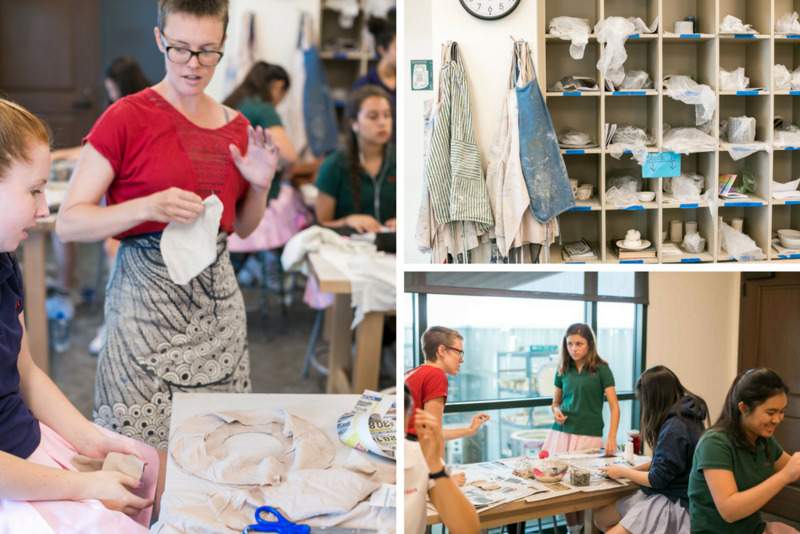 Though FSHA began offering ceramics in 2002, the ceramics studio didn’t actually move into the Auditorium until 2008. The ceramics studio took the place of the old kitchen, which hadn’t been of use since lunch service moved to the newly built Student Activities Center in 1998. 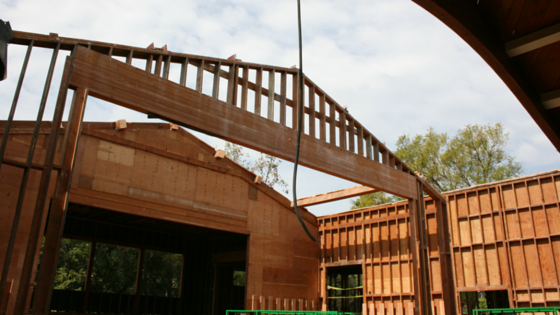 In January of 2015, FSHA broke ground on the new Arts Center Remodel. 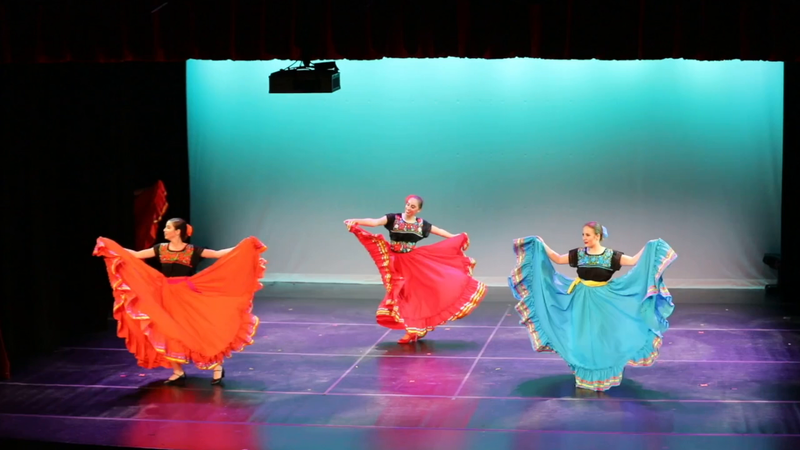 The Arts Center opened in April 2016 with FSHA's annual Dance Concert. The building houses our productions, classes and more!